Do you enjoy seeing quilt blocks on the sides of barns? I do, and I have wanted to make a barn quilt for quite a while. As I was designing this quilt, I wanted a quilt block on the barn, and I wanted a happy quilt. 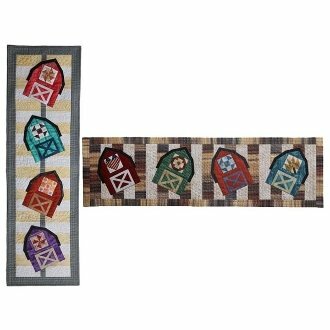 The barns in these quilts are so happy that they’re dancing. You can choose to make The Pole Dancers quilt or The Line Dancers quilt or both. In fact you may find that making the barns is so much fun that you make enough barns for a bed-size quilt. 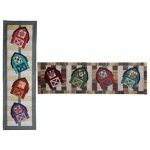 The barn is made using fusible appliqué with a 3″square area left open for a quilt block to be placed underneath. 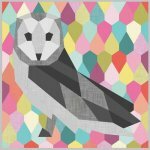 I have included some choices of simple 3” quilt blocks but feel free to find or draw more. It is best to make the barns first and then make the 3″ blocks to coordinate.